On a recent project, we discovered a “scary” sight – an Exterior Insulation and Finish System (EIFS) that was not installed properly. The exposed wall revealed channelized white foam insulation, an inconsistently placed liquid waterproofing membrane applied on the sheathing, several different brands of materials, and incompatible asphaltic flashing to cover the building facade. The manufacturer issued a warranty for a drainable system, but no weep holes were installed around the windows and doors to allow the water to drain. This cobbled together assembly is not only a problem for keeping the building watertight, but the warranty seems to be invalid. 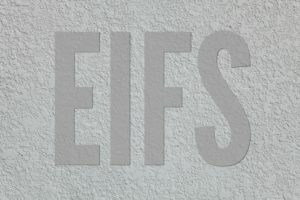 This highlights the need for field inspections by Certified EIFS Inspectors (CEI) and installation by Certified EIFS Mechanics (CEM) and Contractors as designated by the AWCI (Association of the Wall and Ceiling Industry) to help ensure that the system is installed and performs as it was intended. 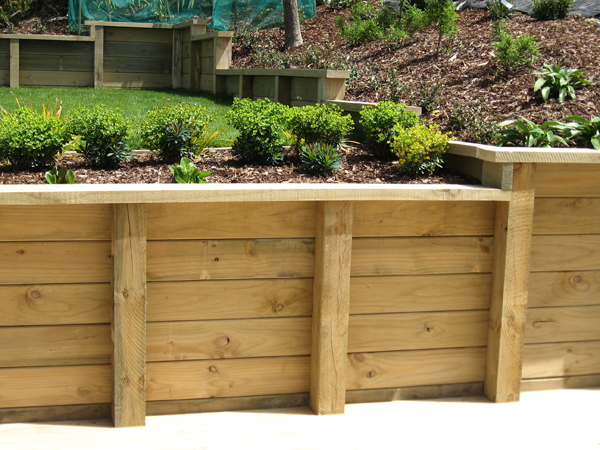 Preservative (pressure) treated wood is among the most common materials used in the construction of retaining walls. Ground-contact rated is standard for that use, but a GC label doesn’t tell the entire story. The important factor is preservative retention – the amount of chemical that remains in the wood after treatment, usually expressed as pounds per cubic foot or PCF. Optimum levels vary with the chemicals used and some products considered suitable for ground contact have retention levels that are less than desirable for retaining walls. The American Wood Protection Association (AWPA) lists three categories for ground contact use, General Use (UC4A), Heavy Duty (UC4B) and Extreme Duty (UC4C). Heavy Duty protection would be suitable for most circumstances. Extreme Duty would be appropriate in such locations as freshwater lake or pond side walls. AWPA has separate categories for use in marine (saltwater) environments. The timbers most used in retaining walls measure six by six or eight by eight inches in cross section and full preservative saturation is difficult to achieve in material that thick. Consequently, the central portions are less protected and decay (rot) can occur deep within the wood before there’s any visible evidence of distress. So-called Ground-Contact-rated, forty-year timbers can experience advanced deterioration within as few as fifteen years, while appearing sound. In order to truly evaluate timber retaining walls it’s often necessary to sample the material by extracting full-depth cores with a specialty bit. Usually, a simple visual examination is sufficient to determine the level of degradation. Sounding (with a hammer) can reveal advanced decay. Rot reduces wood to dust, which will produce a hollow sound if sufficient wood has been compromised. 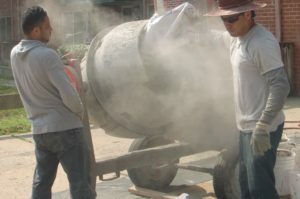 Dust clouds created while mixing concrete, jackhammering or cutting concrete sidewalks, tuckpointing, and sawing masonry blocks will soon be a thing of the past. The Occupational Safety and Health Administration (OSHA) will begin enforcing new regulations concerning worker’s exposure to silica dust on September 23, 2017. Silica dust is commonly produced when working with concrete, brick mortar, tiles, cement board, and many other common building materials. Long term exposure to silica dust can lead to the development of lung cancer, silicosis, and other permanent conditions with long lasting consequences. Because silica dust is so prevalent, the new regulations will impact many different industries including many facets of construction. Complying with these regulations will potentially impact, property owners, engineers, contractors, and other individuals, in many ways including the cost of construction work. While there are many requirements detailed in the regulations, contractors will have to offer medical examinations to high exposure workers, implement engineering controls for silica dust, and develop procedures to limit the exposure to silica dust that workers experience. Depending on the circumstances and activity, engineering controls can include a vacuum system with a 99% efficiency for certain cases or water methods of controlling dust. Additionally, a HEPA vacuum may be required in certain cases and a personal respiratory protection device must be supplied to workers. Building owners, project managers, and other individuals involved with construction need to be aware of the impacts that these new requirements can have on projects. Additionally, contractors may require cooperation from building owners and managers to be able to adhere to the new requirements. The interest in wood construction has led to office buildings, apartments, and commercial spaces being constructed out of wood. To support these structures, engineers have utilized advances in engineered lumber such as using glulam (glue-laminated timber), nail laminated timber, cross laminated timber, and other forms of engineered lumber. Engineered lumber is a strong wood based composite material that is often combined with special adhesives or other methods of fixation that can be used in columns, beams, and many other applications. Renewed interest in mass timber has also risen because of the desire to construct tall wood framed buildings. 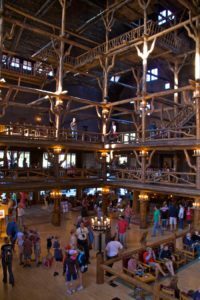 It seems everything old is new again when you consider that the Old Faithful Inn was constructed in 1904 and is the largest log hotel in the world. The advances in wood engineering and higher levels of interest have resulted in investigations into potential changes to the building code that would allow taller wood construction. These trends indicate that the future of wood as a building material for both existing and new construction is exciting and filled with possibilities. 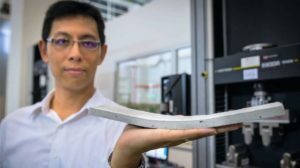 Researchers in Indonesia have developed a bendable concrete that is twice as strong as conventional concrete in bending, can be poured in thin slabs, and used for pavement. They hope that future pavement projects will be cast in a factory and slabs delivered to the job site. For information check out this link. Is your concrete peeling or flaking in localized areas? 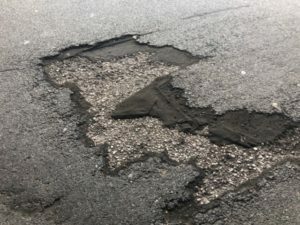 Are you noticing rough, aggregate surfaces in your concrete that haven’t been there before, particularly after the latest round of winter weather? If so, your concrete may be experiencing a condition called scaling. Scaling occurs when a thin layer of the concrete surface flakes, or scales, from the concrete element. Removal of this thin layer often exposes the underlying, open-pore structure of the concrete, which poses a durability concern. The most common causes of scaling are listed below. Non- or Low-Air-Entrained Concrete – Air-entrained concrete contains small voids which accommodate volume changes when water (i.e. precipitation) in the concrete freezes and expands. If the concrete is not properly air entrained, the concrete surface may be overcome by expansive forces during freeze-thaw cycles, resulting in loss of material. Unsuitable Concrete Mix – Concrete mixes with low strength (less than 4,000 psi in exterior, exposed conditions) or those with high water-to-cement ratios are more susceptible to water intrusion and deterioration. Excessive/Improper Deicing Agents – These chemicals can attack surface layers of concrete. These chemicals can also create brines (which have lower freezing points than fresh water), and can increase the number of freeze-thaw cycles. Poor Finishing – Overworked concrete surfaces or those that receive additional water and or finished with bleed water can result in reduced entrained air content or weak, thin, cementitious paste deposits at surfaces. 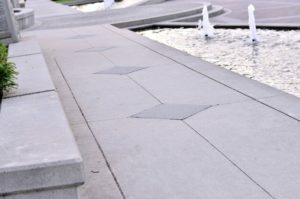 Repairing scaled concrete surfaces can prove difficult. If a proper bond is not achieved between the cementitious topping/overlay and the underlying concrete, additional scaling or delamination may occur. 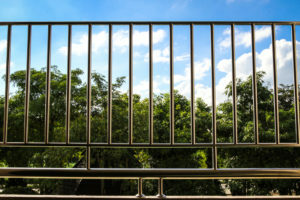 If scaling is prevalent in your community, contact a professional engineer to determine the extent of the damage and to develop the proper repair strategy. Have you noticed dry, powdery deposits on the concrete elements in your community? Or have you walked across concrete and had a white, dust-like powder follow you? If so, your concrete may be experiencing a condition called dusting. Dusting occurs when the surface of concrete disintegrates, resulting in a loose, chalk-like powder. A list of potential causes of dusting is provided below. 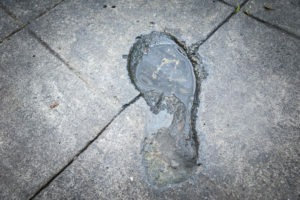 Poor Finishing – The addition of too much moisture during finishing operations, or condensation of cool air on the fresh, warm concrete surface can result in a weak surface layer. As pedestrian or foot traffic is applied to this soft surface, dusting may result. Poor Placement Conditions – Improper ventilation in an enclosed space where machines producing carbon dioxide are present, such as a garage, could result in carbonation of the concrete. This chemical reaction reduces the concrete strength, which may lead to chalking surfaces. Improper Curing – The omission of moist curing (i.e. wet burlap) operations or approved curing compounds can allow the surface of fresh concrete to dry out, resulting in a soft surface, susceptible to disintegration. 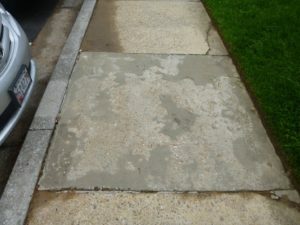 Insufficient Protection – Newly placed concrete subjected to an unexpected summer rain storm, high winds, or freezing overnight temperatures without proper protection are prone to weakened surfaces and even reduced strength. The good news is repairing this condition can be relatively routine. Sandblasting or pressure washing can remove the soft surface, or applying a hardener or sealer may also be effective. However, if the dusting/surface deterioration is severe, application of an overlay or topping may be necessary. 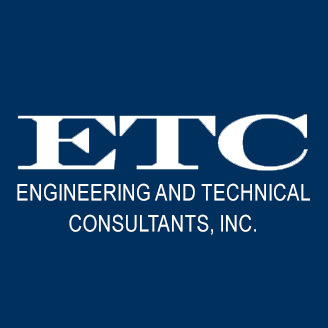 If your community is experiencing dusting or you have concerns with your new concrete, consult with a professional engineer who can help evaluate and determine the appropriate repair solution.